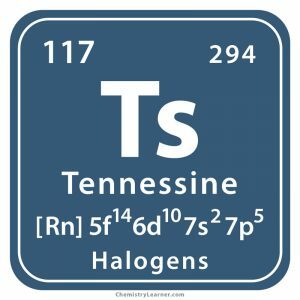 Tennessine (pronounced as TEN-ess-een ), represented by the chemical symbol Ts, is a synthetic, radioactive element  belonging to the family of halogens . 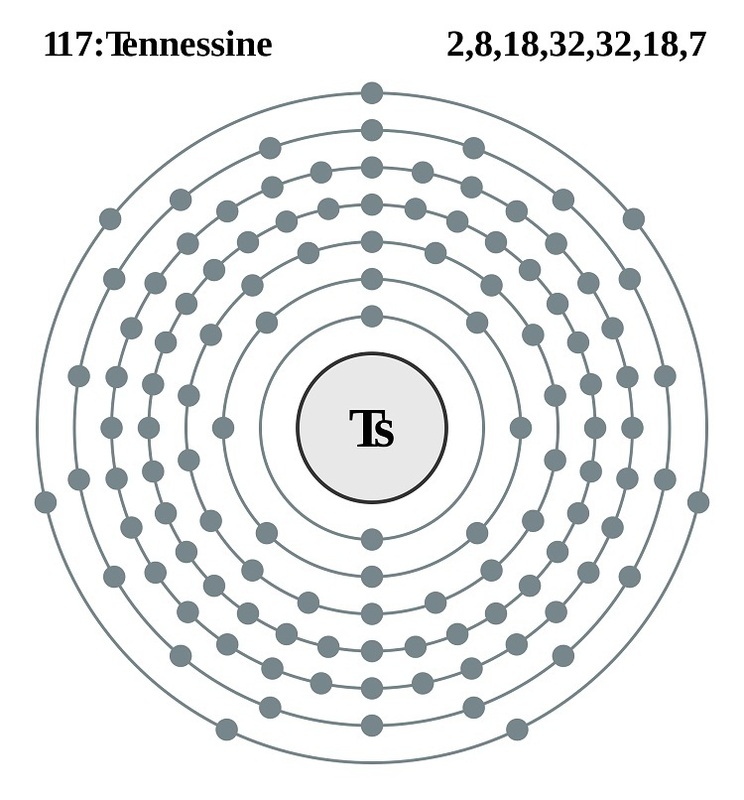 Of its 2 known isotopes, Ts 292 and Ts 294 , the latter is more stable with a half-life of approximately 80 milliseconds . It alpha decays into moscovium-290 . The alkali metal does not occur naturally on earth . Only a small amount has been synthesized in laboratories . 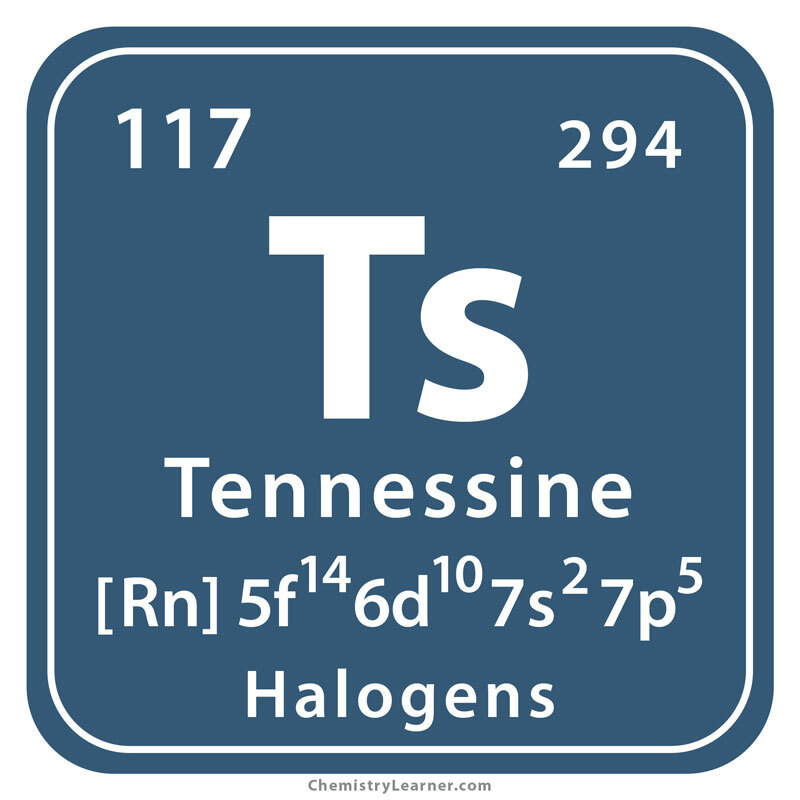 Origin of Its Name: It is named after Tennesse, a US state . Who Discovered It: Scientists from the Joint Institute of Nuclear Research (JINR) in Dubna, Russia, the Lawrence Livermore National Laboratory (LLNL) in California, USA, and the Oak Ridge National Laboratory (ORNL) in Tennesse, USA . In 2015, IUPAC confirmed the discovery of the element by a collaboration of scientists from JINR, LLNL and ORNL . 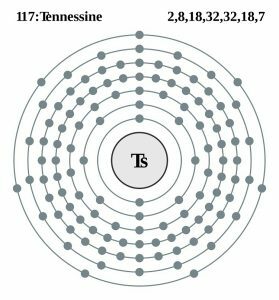 They had produced it on April 5, 2010, by bombarding berkelium 249 atoms with calcium 48 ions . Due to its miniscule production, its use is restricted to research purposes . Being highly radioactive, it can cause harm if present in significant amounts [1, 3]. IUPAC named Ts along with the elements oganesson (Og), moscovium (Mc) and nihonium (Nh) on 28th November 2016 . 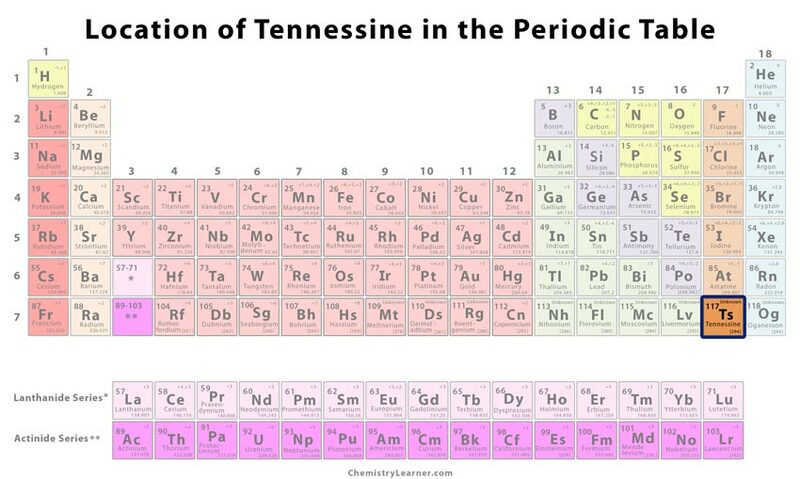 It had been given a placeholder name ununseptium (with symbol uus), representing its atomic number, before being officially named by IUPAC. Unknown, as a tiny amount of it is available till date .